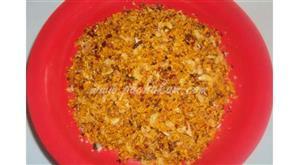 This is a simple recipe which you can make with dry fish. The tangy and spicy masala goes really well with the dry fish and taste amazing. 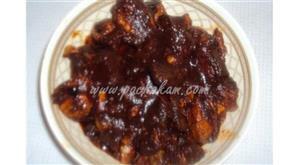 Karuvadu Thokku / dry fish thokku is a popular curry recipe of Tamil Nadu. It tastes very mouth wateringly delicious. 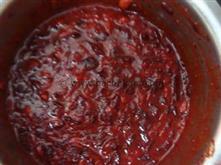 It is prepared in various methods and here is a simple way. If you haven’t tried Meen Achar, you are truly missing out something great in Kerala. Meen Achar is a lip smacking favorite, quite irresistible in taste and flavor. Meen Achar is unique and tasty with fried fish pieces blended with spicy ingredients and tangy vinegar. Fish is nutritious and Meen Achar makes a healthy combo with rice. Meen Achar is a boon to working mothers and the dish is very easy to prepare with very minimum ingredients. 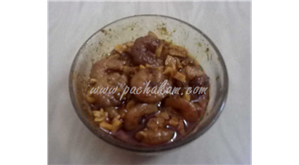 You can explore a well detailed and step wise presented Meen Achar here. Fish Pickle is a spicy mouthwatering fish delicacy that will definitely tempt you for more and more. 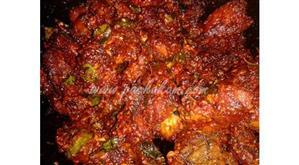 Fish Pickle is an easy to prepare dish that goes well with hot rice. Fish Pickle is unique and special with fried fish pieces blended with spicy tangy chilli gravy. Fish is nutritious rich in vital nutrients required for body. Fish Pickle comes in handy when you are running out with your usual stock of stored items. Fish Pickle can be stored in air tight containers for weeks together. You can explore a well detailed Fish Pickle here that can be easily prepared in your kitchen.